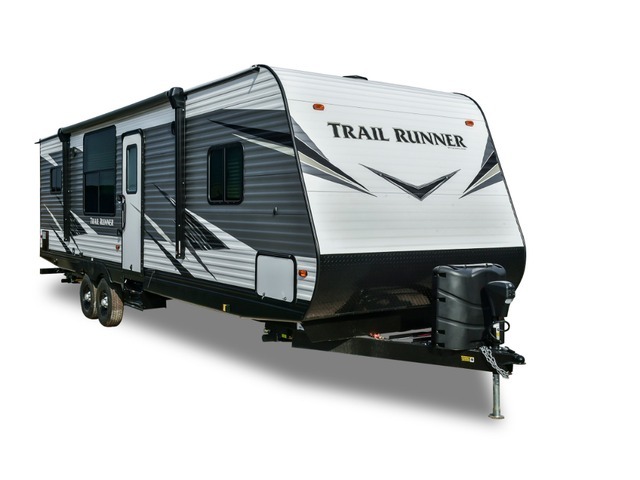 You see them everywhere you go but it's the details that set Trail Runner by Heartland apart... Quality craftsmanship, innovative design and value packed offerings make the difference between simply owning a travel trailer or truly improving your vacations in your Heartland home away from home. Isn't it time you make some great memories with your family and friends in a Heartland Trail Runner travel trailer? Dry Weight 3,998 lbs Hitch Weight 378 lbs Overall Length 22' 11"
Dry Weight 4,352 lbs Hitch Weight 570 lbs Overall Length 25' 3"
Dry Weight 4,912 lbs Hitch Weight 490 lbs Overall Length 29' 1"
Dry Weight 6,696 lbs Hitch Weight 1,025 lbs Overall Length 34' 3"
Dry Weight 7,802 lbs Overall Length 34' 4"